Discover a place of mind-boggling beauty where sheer tranquillity in nature takes you away from stressful life. Lion Sands River Lodge is an authentic safari experience in the Lion Sands Game Reserve, part of the greater Kruger National Park. Enjoy the 2 swimming pools (heated in winter), wooden viewing decks, secluded bird hide, conference room, Africology Health Spa & gymnasium, curio shop and open-air (Boma) dining area. Learn more about the wilderness than you ever thought possible. River Lodge is the soul of The Lion Sands Game Reserve and has been built on the banks of the Sabie River, positioned on a site with trees dating back 800 years. Here you are invited to relax and experience African hospitality at its finest. River Lodge has a feel of lived-in luxury and guests are invited to make themselves at home. Lion Sands is a place that enriches one’s soul and promises life-changing moments and opportunities that will leave you with memories of unforgettable experiences. It is an extraordinary gift passed down over generations and even for those of us who have known its sweeping landscapes since birth, it remains a place of overwhelming beauty and discovery. Our family is one of the most fortunate in the world to have the privilege of being the custodians of one of Africa’s truly unspoiled wilderness areas. 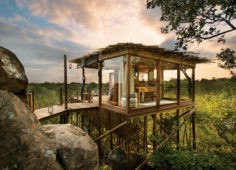 In the heart of the game-rich Sabi Sand Reserve, adjacent to the world-renowned Kruger National Park, we have created an iconic destination, which is as close to perfection as any place in Africa can take you. At Lion Sands you have the opportunity to view spectacular wildlife whilst preserving the balance of our “bushveld”, and the privilege of being in the company of people with an insatiable enthusiasm both for the bush and for the people who come out to visit us. Situated on the banks of the Sabie River, Lion Sands River Lodge looks east over South Africa’s famous Kruger National Park where the sun rises over animal’s great and small. These wild beasts move freely between the wildlife rich Sabi Sands Game Reserve and Kruger. Guests catch a plane from Cape Town or Johannesburg to Skukuza, and then the lodge offers transfers to its unique accommodation. Hands-on service and attention to detail make visitors feel right at home in this place of luxury and getting back to nature. The Lion Sands River Lodge, like its name, catches the spirit of the Sabie River where hippo plays and antelope come down to drink. 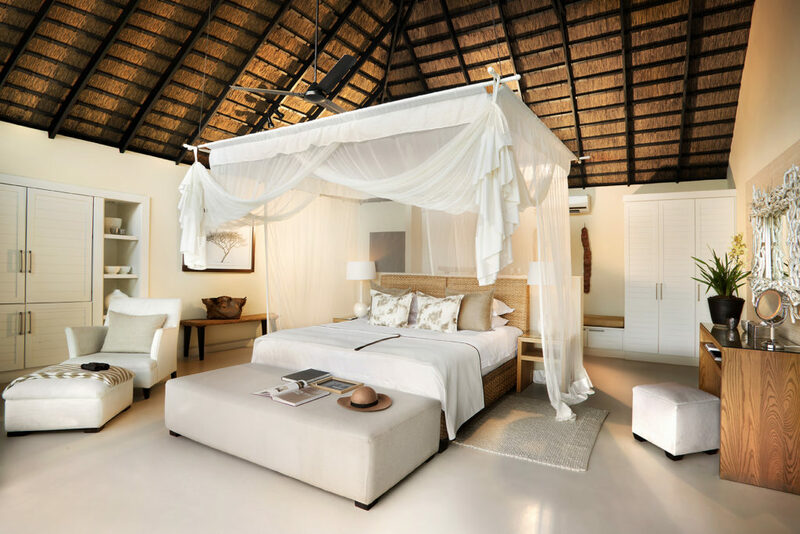 Accommodation in 20 elegant thatched chalets soaks in the river views, across the richness of the bushveld beyond. Visitors can sit on their own private wooden decks and watch wild animals drinking. Feel part of the Kruger National Park in rooms that reflect the African bush: serene soft colours enhance the peace that is Sabie Sands River Lodge while indoor and outdoor showers keep guests cool. All rooms feature air-conditioning, overhead fans, king size beds with mosquito nets, mini bars and safes. Raised boardwalks link chalets to the main guest areas. Here guests are treated to a comfy lounge and bar area with fireplace, an indoor dining area and open air boma for meals around the nightly bonfire. Enjoy the outside safari lounge, the two swimming pools heated in winter, wooden viewing decks, a conference room and a curio shop. A secluded bird hide adds tremendous value to this lodge and for those seeking modern comforts, head for the Lalamuka Health Spa and Gymnasium. Big 5, Birding, Flora, Relaxation, Star Gazing, Wine, And more. 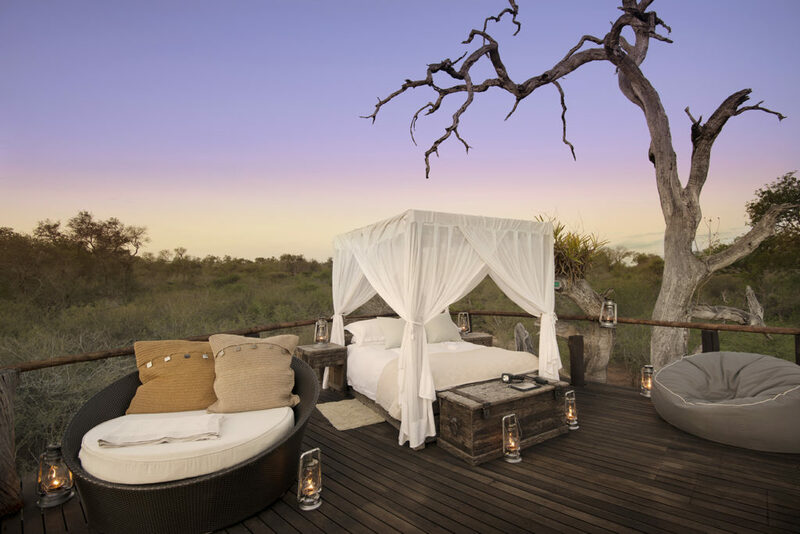 Lion Sands Sabi Sand is the only Reserve in South Africa to offer a safari in both the Sabie and Sand River ecosystems.